Chimney swifts are urban birds that have suffered steep declines over recent decades throughout their range. Reasons for this decline include loss of man-made nesting and roosting structures, insecticide use, and habitat loss on the wintering grounds in South America. Although the species is attracted to urban areas with high human population densities, this species is often overlooked and its distribution and numbers in Michigan are poorly understood. Michigan Audubon’s efforts are focused on outreach, education, on-the-ground conservation, and research to increase awareness for chimney swifts and slow or reverse the population declines they have experienced across the state. Understanding where fall roosts are in the state is an important step in conserving critical Chimney Swift habitat. We are building a map of these current and historic locations, which can be viewed below. Anyone can help identify a potential or actual roost chimney. If you have data to share – please use the buttons below to enter data online or contact us with information. 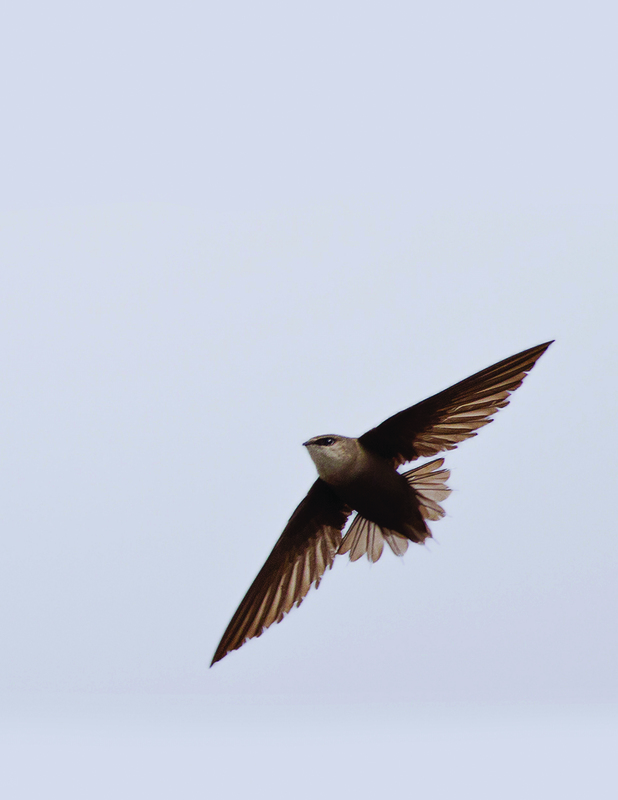 From densely urban areas to historic downtown streets, swifts are frequent visitors to cities large and small. Monitoring city-dwelling swifts is easy and fun for all ages. See our Get Involved section below to learn how you can help this declining species. Description: 5” long with 12.5” wingspan; “cigar-shaped.” Dark brown-grayish overall. Behavior: Chimney swifts are aerial insectivores, meaning they feed by catching flying insects. They are very fast flyers and can often be seen zipping through the air above cities, backyards, and parks. They beat their wings rapidly and often have an erratic flight, leading many people to confuse them with bats. Pairs of birds will perform display flights where they fly close together and flare their wings upward in a V-shape. Chimney swifts are Neotropical migrants, meaning they travel to North America in the summer to breed and migrate back south to South America to spend the winter. During the breeding season, birds remain in pairs or small family groups, but during migration they may amass in the thousands. Habitat: Open areas, usually near urban or residential areas, with room to swoop and catch flying insects. Chimney swifts prefer to nest and roost in traditional brick chimneys with open caps. Because of their unique body shape, chimney swifts cannot perch upright (on a wire, post, or tree branch) and can only perch vertically on a rough surface. Food: Mostly flying insects – mosquitoes, bees, wasps, biting flies, termites. Nesting: Chimney swifts use special saliva to “glue” their nests to the inner walls of chimneys. Nests are a flat saucer shape made out of sticks. Only one pair will nest in each chimney. Chicks from the previous year may roost with the nesting parents and assist with raising siblings. 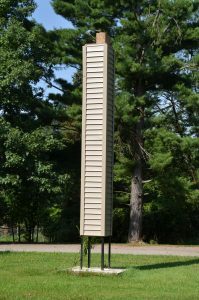 While many traditional chimneys are being torn down or converted to gas-burning fireplaces, free-standing nesting towers can be built specifically to attract nesting chimney swifts. Roosting: Chimney swifts gather in the thousands during spring and fall migration. At dusk, birds will form swirling “tornadoes” that spiral down into large roosting chimneys to take shelter at night. Some of the best roosting chimneys can be found on older churches, schools, and factories. Michigan’s largest roosting site is the Swift Sanctuary of Farmington where up to 50,000 swifts may roost during migration. Volunteers are needed to survey chimney swift roosts (mainly chimneys) across the state during fall migration. 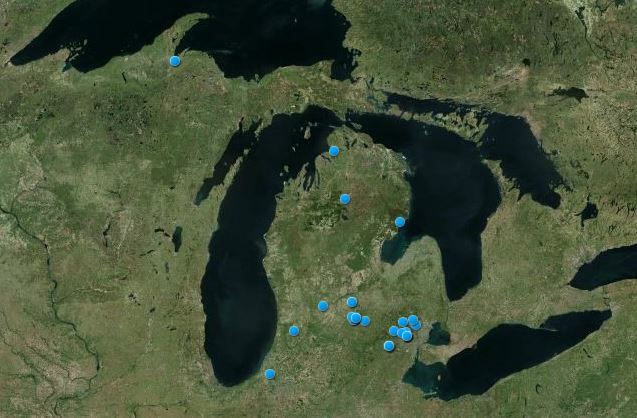 These surveys aim to gather information about where, when, and how many birds are roosting across Michigan. By surveying these roosts, we hope to gather information to help support conservation of critical roosting structures in Michigan. The annual national survey occurs on the second weekends in August and September (Friday – Sunday nights), but we are looking for volunteers to survey at any time throughout August and September. Surveys begin 30 minutes before sunset and end when the last swift enters the chimney. Surveying for swifts is fun, easy, and suitable for all ages. Learn more about conducting the surveys, find data sheets, and enter survey data below. Potential roost locations are fun to search for – start looking for large, uncapped chimneys on historical buildings, old factories, schools, churches, courthouses, or libraries. 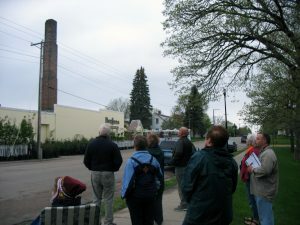 Chimney Swift tower at Michigan Audubon’s Capital City Bird Sanctuary. 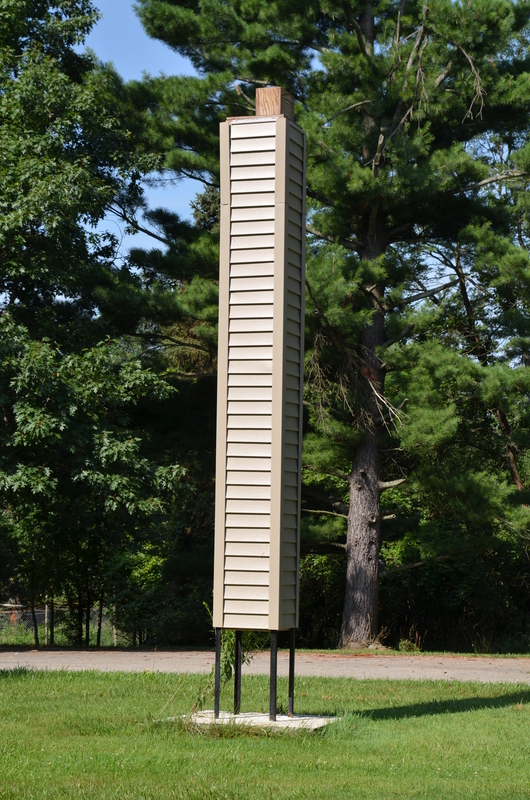 Chimney swifts will use special free-standing towers that you can build yourself. Towers cost roughly $600 each in materials, require a well-stocked workshop, and some carpentry skills. These towers make for great scout or community service projects. Install towers in open areas, preferably at the highest point on the property. 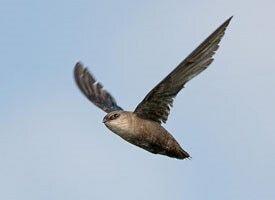 Learn more about the construction plans from the National Chimney Swift Conservation Association. Lead an urban walk through a downtown area to look for possible roosting sites or observe a known roosting site. Host a family-friendly event with learning activities and a walk to see a known roosting site. Read our Tips for leading a Swift Night Out event for more ideas.